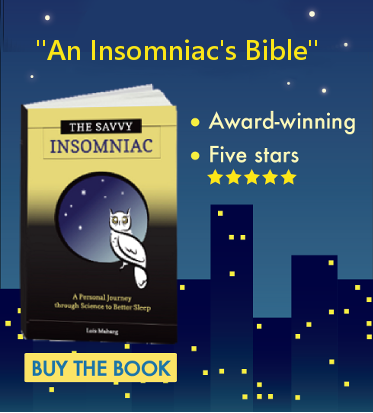 Is stress the driver of your insomnia? Eating more high-fiber foods—sometimes called prebiotics (different from probiotics)—may help both your stomach and your sleep. In a new study on rats conducted at the University of Colorado, a high-fiber diet promoted the growth of healthy gut bacteria, increased resilience to stress, and made sleep more robust following a stressful event. Here are the take-aways and what the study suggests about human sleep. 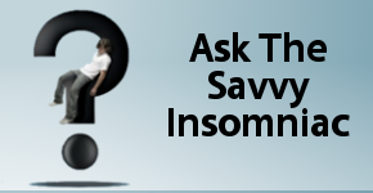 Is stress the driver of your insomnia? Eating more high fiber foods—sometimes called prebiotics (different from probiotics)—may help both your stomach and your sleep. In a new study on rats conducted at the University of Colorado, a high fiber diet promoted the growth of healthy gut bacteria, increased resilience to stress, and made sleep more robust following a stressful event. Here are the take-aways and what the study suggests about human sleep. Most of us sleep better when life is moving along on an even keel. It’s when we have to cope with stressors—a divorce, a bullying boss, sustained combat—that insomnia tends to occur. Chronic stress may eventually lead to chronic insomnia. Likewise, stress has a harmful impact on the gut. A healthy gut has diverse beneficial bacteria spread evenly throughout the gastrointestinal tract. Stress makes the bacterial community less diverse and less evenly distributed. One approach to reestablishing a healthy community of gut bacteria is to use a probiotic such as yogurt containing live bacteria, soft cheeses, or a probiotic supplement. Probiotics help repopulate the gut with beneficial bacteria. They’ve also been shown in rodents and humans to reduce the effects of stress on both the body and the brain. Prebiotics are non-digestible fibers found in certain foods that promote the growth of beneficial gut bacteria such as those found in yogurt and probiotic supplements. The researchers at University of Colorado wondered if feeding young rats a diet rich in prebiotics would increase beneficial gut bacteria and reduce the effects of stress, including its effects on sleep. Overall, the prebiotic diet made the rats more resilient to stress and their sleep more robust. A High Fiber Diet for Humans? Would a diet high in prebiotics be similarly protective of the human gastrointestinal tract and human sleep? That, say the researchers, is what they’re going to study next. For now, given prior clinical research and the fact that there are no known downsides to consuming prebiotic foods, it’s probably a good idea to incorporate more high fiber foods into your diet—especially if you’re prone to stress related insomnia. Here are several foods high in prebiotics. You get more mileage from plant fibers when fruits and vegetables are eaten raw, but a light steaming may not do much to diminish their effectiveness. I’m glad you enjoyed the post. I’m a real believer when it comes to stress and dietary factors affecting the gastrointestinal tract and sleep. It’s all related, as they say!